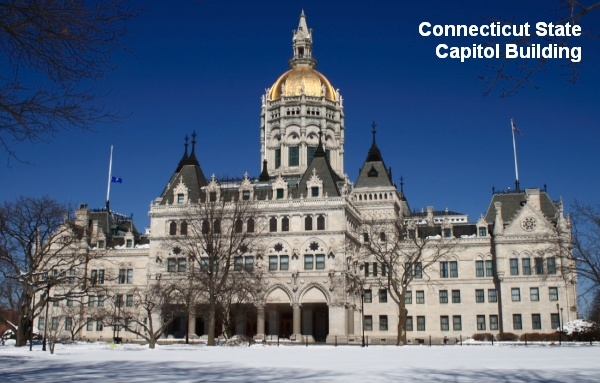 Over the objections of legions of Connecticut gun-owners, Connecticut enacted what has been called the “nation’s strictest gun laws” (Huffington Post). Along with new controls on semi-automatic rifles, magazine-capacity limits, and restrictions on ammunition purchases, Connecticut adopted a new system of background checks on all gun transfers. Apparently, the new legislation was so poorly drafted that Connecticut’s new gun laws do not comply with Federal NICS procedures. The National Shooting Sports Foundation (NSSF), the trade association for the firearms and ammunition industry, issued the following statement: “Gov. Dannel Malloy … signed into law a package of gun-control legislation that was assembled in secret by a small group of state legislators and that never received a public hearing. Most legislators had little time to even read the actual bill language. The unfortunate results of this process… [are] that mistakes in [the] enacted law will have to be corrected. The new Connecticut gun-control laws are the main focus of this week’s Gun Talk® Radio show with Tom Gresham. Richard Burgess, President of Connecticut Carry, joins Tom this Sunday to discuss the latest anti-gun legislation passed this week by Connecticut legislators and signed into law by Governor Malloy. The new legislation, among other things, adds more than 100 firearms to the state’s assault weapons ban and creates what is being called the nation’s first dangerous weapon offender registry, as well as a magazine ban and eligibility rules for buying ammunition. You can learn more about Connecticut’s passage of the new laws in a feature from the Litchfield County Times. In its 19th year of national syndication, Tom Gresham’s Gun Talk Radio airs live on Sundays from 2:00 pm to 5:00 pm Eastern, and runs on more than 138 stations, plus on XM (Ch. 165) Satellite Radio. All Gun Talk shows can be downloaded as podcasts or accessed via Apple iTunes. To get more information, visit www.guntalk.com. Share the post "NSSF Attacks Flaws in Connecticut’s New Gun Legislation"
Dennis DeMille of Creedmoor Sports sent us a reminder that the Eastern CMP Games and Creedmoor Cup is coming up in just three weeks. The event runs May 4-12 at Camp Butner in North Carolina. If you want to join the action you should register soon. This event is limited to 200 shooters. Last year’s Eastern Games and Cup were a great success so a big turn-out is expected this year. In related news, Creedmoor Sports announced that limited quantities of Hornady bullets, brass, and ammo, as well as Sierra bullets, that are currently in stock. If you need ammo or components, this may help you. Here is a partial list of the products in inventory as of yesterday. Share the post "2013 Eastern CMP Games and Creedmoor Cup May 4-12"